Monier Pipe Company Pty. Ltd. 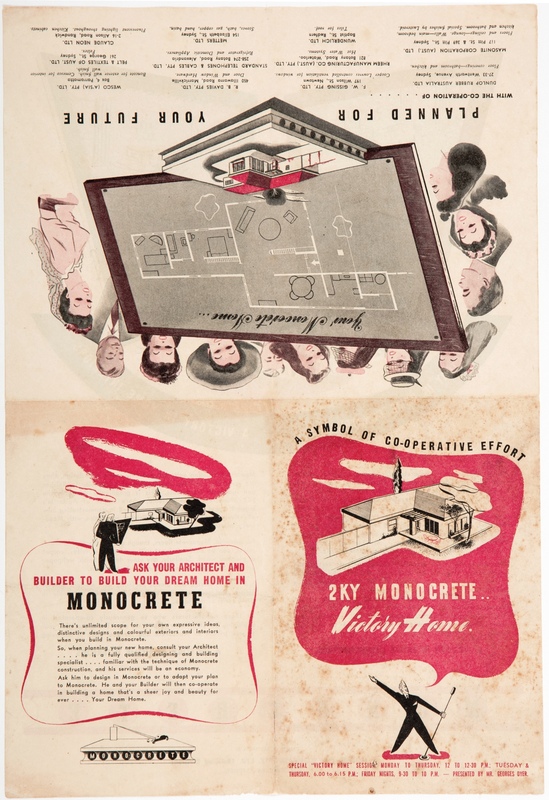 Architecture, Domestic - New South Wales - Designs and plans. 1 folded brochure ; 37 x 26 cm. folded to 19 x 13 cm. 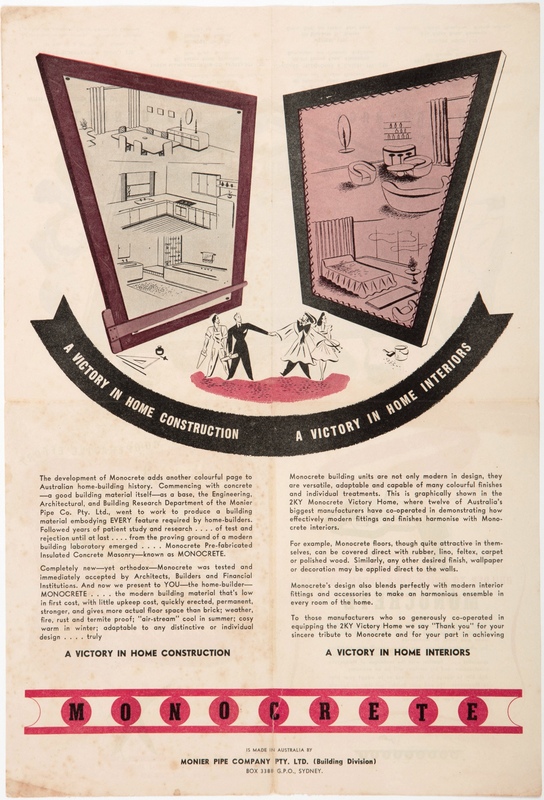 : b & w., ill.
House building scheme / The British-Australasia Tobacco Company Pty Limited; W.D. & H.O. Wills (Australia) Limited; and The States Tobacco Company Pty. Limited.